It's here, or, well, it will be here shortly: the day you can start your car with only a watch and your voice. Hyundai is announcing that its official Blue Link app (which, to be fair, reviews pretty badly) will be gaining Android Wear support in "early 2015." The company will be demoing the new app at CES, though, along with its Android Auto-powered 2015 Sonata concept. Hyundai has been a rapid adopter of 3rd-party smart tech in its vehicles, and will likely be among the very first automakers to sell an Android Auto-ready car (any Hyundai with Android Auto will also have Apple's Car Play). Hyundai is even saying that, once that happens, they'll be phasing out built-in navigation software and CD players from their cars entirely - a very forward-thinking strategy from the traditionally slow-to-react auto industry. 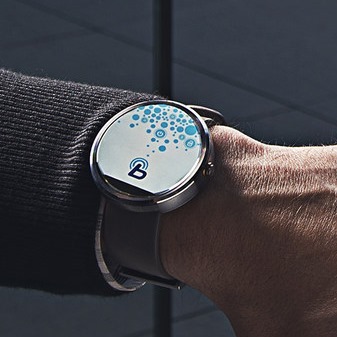 Anyway, the Android Wear app for Blue Link will allow you to start or stop your vehicle's engine, lock or unlock the doors, flash the lights, honk the horn, find your car via GPS, call roadside assistance, and call Blue Link (Hyundai's OnStar, basically). The even cooler part is that this will all be doable by voice - imagine just lifting up your Wear device, and saying "OK Google - start my car." The future is now (or next month, but whatever). 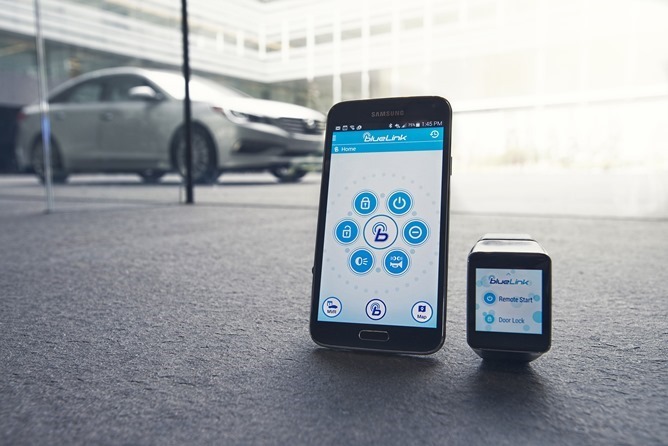 The Blue Link smartwatch app should be compatible with all Hyundais that have Blue Link software, starting from the 2012 Sonata up through today's current models.